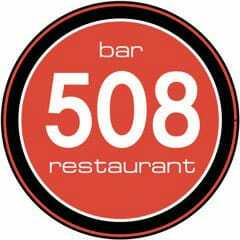 Located in the historic warehouse district of Minneapolis, The 508 Bar + Restaurant has become a mainstay for locals and visitors alike. Whether you’re looking for a place to catch a game, socialize for happy hour, enjoy a meal before a sporting event or anything in between – The 508 offers two levels of entertainment. Both levels are surrounded by comfortable over-sized booths and offer a classy, yet casual environment for any occasion. From lunch functions to dance parties on the weekends, The 508 hosts groups of all sizes large to small, with a private space for special events as well. Between the extensive tap beer selection, an array of flat screen televisions and extraordinary American cuisine, you’re guaranteed satisfaction with every visit!